A new report detailed a series of allegations against Commerce Secretary Wilbur Ross, the latest a growing line of ethics questions over Ross’s financial dealings. Ross claimed he had divested from all financial assets in November 2017. But a series of reports detailed how Ross not only maintained certain investments but also took short positions against some companies while serving as Commerce Secretary. Here’s a rundown of various allegations against Ross. Commerce Secretary Wilbur Ross is facing ethics questions after an extensive report into his private equity firm, the latest in a series of allegations dogging one of President Donald Trump’s chief economic advisers..
A bombshell report from Forbes released Tuesday detailed a history of alleged unethical business practices during Ross’s time at his private equity firm, WL Ross. The report details a series of lawsuits brought against Ross by former employees at the firm. The lawsuits allege the employees were cheated out of money owed to them and that the firm swindled investors out of millions of dollars worth of investment-fee rebates. 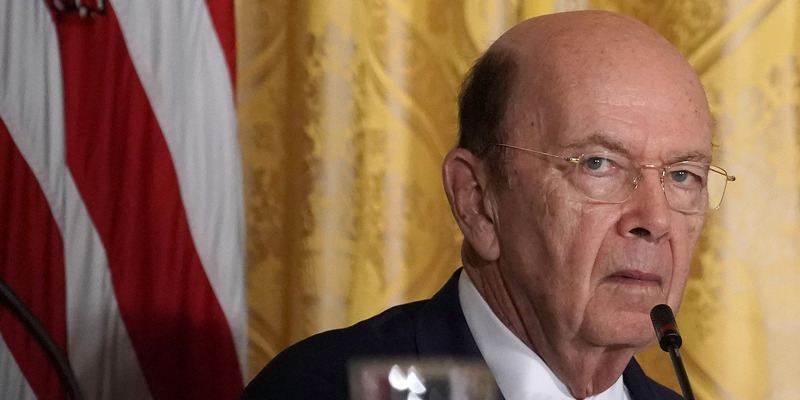 The report comes after a series of investigations into Ross over the past nine months revealed that the Commerce Secretary did not divest himself of all financial assets and made stock trades in companies from which he claimed to have divested. November 2017: Forbes said that Ross inflated his net worth for years to the magazine. Ross claimed to be worth nearly $US3 billion – when in fact, Forbes said, he was worth around $US700 million. November 2017: The New York Times reported that Ross retained investments in Navigator Holdings, a shipping company with extensive ties to Russian gas company Sibur. Sibur is owned by Russian oligarchs that include Russian President Vladimir Putin’s son-in-law. Ross’s spokesman denied any ethical wrongdoing. June 2018: Forbes reported that Ross shorted Navigator Holdings in the days before The New York Times report was released, but after the newspaper contacted Ross with questions about the investment. Ross emphasised that he did not have any nonpublic information at the time of the short. July 2018: Ross admitted that he shorted two other stocks during his time as Commerce Secretary: Air Lease and Ocwen Financial. Ross said the shorts were to offset potential gain from the ownership of the same stocks. He said he was granted small stakes in the companies that he was unaware of as a result of service on the firm’s board of directors. So to balance out any potential gains from these stocks, Ross said, he also shorted them while the assets were being sold. July 2018: The Office of Government Ethics sent a letter to Ross chastising the Commerce Secretary for submitting financial disclosure forms that “contained various omissions and inaccurate statements.” The OGE warned Ross that his actions could erode public trust in government. As a result of some these revelations, GOP Sen. John Thune has asked the inspector general of the Commerce Department to look into Ross’s schedule to ensure that the Commerce Secretary did not take meetings with executives of companies in which Ross had a financial interest. Democrats have also called for a series of investigations into Ross’s financial transactions.